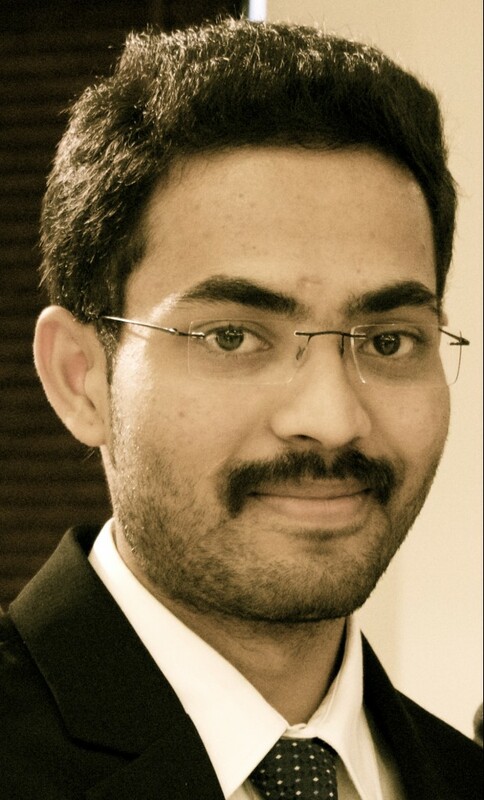 Mr. Basavanagouda Patil graduated from the prestigious National Law School of India University, Bangalore majoring in Law. At National Law School he was a recipient of Mrs. Madhu Bhasin Gold Medal for his contributions towards clinical legal aid and access-to-justice projects. He has also been presented with the National Level Best Law Student Award for 2014 awarded by Society of Indian Law Firms and Menon Institute for Legal Advocacy and Training. As a Convenor of the Legal Services Clinic at N.LS.I.U. he played a pivotal role in winning the annual MacJannet International Prize for the year 2014 and was invited as a student leader to present at the Talloires Network Leaders Conference, Cape Town. Mr. Patil is currently registered as an Advocate with the Bar Council of Karnataka, India. As part of the Legal Services Clinic, Mr. Patil was instrumental in devising social justice projects and engaging with different actors in the implementation of legal policies; Access to Justice being the common theme through which these projects were devised. During his tenure, policy implementation reports concerning Juvenile Justice, Consumer Protection and Legal Education policies were published and submitted to the Government and other stakeholders. These empirical reports have further led to filing of several social action litigations at the High Court of Karnataka, India. Mr. Patil has an exceptional track record of working directly with the Juvenile Justice Board in Bangalore which is responsible for adjudicating matters relating to children in conflict with law. His IBJ-JusticeMakers project concentrated on this institution to raise awareness on policies concerning child welfare and child care institution itself. Mr. Patil will be worked with Juvenile Justice in the State of Karnataka where he partnered with his alma mater in implementing his project. The JusticeMakers program is delighted to have Mr. Patil as one of the youngest recipients of the JusticeMakers Fellowships of 2014. Project: Mr. Patil aimed to bridge the gap between the legal text and its implementation by creating awareness and providing adequate legal aid. It was amongst his project objectives to disseminate the basic understanding of what law is, what the basic constitutional freedoms are and which basic procedures one needs to know in order to counter potential constraints. This project also provided legal representation of juveniles who are in conflict with the law and whose trials are pending. Results: For his fellowship project, Mr. Patil worked with Juvenile Justice, focusing on spreading awareness on policies concerning juvenile justice laws. Since this complex field of law affects people who are often unaware of their rights, such as the right to free education, communication is vital. This issue became especially pertinent during Mr. Patil’s fellowship, as the Indian Parliament passed a law in December 2015, which stated that people between the ages of 16 and 18 shall be tried as adults in court. Because of this new law, focusing on a broader subject of juvenile rights was key. In order to spread awareness of rules and regulations to children, Mr. Patil used very simple tools so that the children would be able to understand and remember their rights. He held legal literacy programs and camps where talks and games would keep children’s attention while teaching them about rights and policies that affect them. Second, he created and distributed posters, bookmarks, and news prints that detailed the rights of children. By doing this, Mr. Patil hoped to encourage the children to read and learn more about their rights and about the law. He also designed and distributed comic strips in order to understand the law more easily and so that they could retain the information more easily. For example, in one of his comics, two cartoon bears talk about a child’s right to free education because of the Right to Education Act. In one of his other programs, Mr. Patil distributed some “Emergency Numbers” of government authorities whom the children can call if their rights are being violated as a way of ensuring that the children will be able to maintain their rights, even after Mr. Patil’s project finished. During his fellowship, Mr. Patil had students recruit other students from several institutions help him work on the project, making institutional collaboration one of the key parts of his work. This collaboration proved to be very helpful, as the volunteers were very active and helped spread the information faster and to a larger audience.